The municipality of el Puig de Santa Maria, which means mountain in Valencian offers a wide variety of landscapes, the municipality stretches from the mountains of cabeç Bord and the Serra Llarga, foothills of the Serra Calderona, to the blue landscape, opened to the Mediterranean Sea. Puçol is bounded by Rafelbunyol, Náquera and La Pobla Farnals. 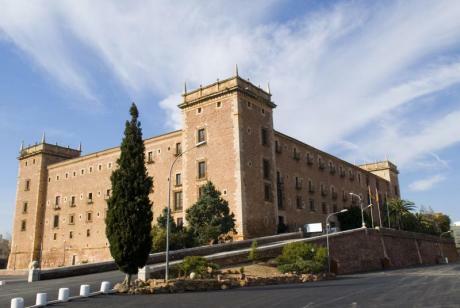 Highlights the enormous landscape and ecological value of the orchard and el Puig de Santa Maria marshes and historic architecture with the Royal Monastery of Santa Mariaor the Charterhouse of Ara Christi. The first historical records date back to the Iberian society, from the time of the Roman funerary remains a pillar in the Monastery of Santa Maria del Puig. We can do the longest road in the Iberian Peninsula, the Via Augusta. It is in the eleventh century when Jubayl, a name of the place, acquires strategic importance.